Phillips Hue Light Bulbs, Smart Fridges, and Smart Home Garage Openers are all products that can be interacted with digitally through Wi-Fi. Most of these technologies come with their own applications developed either by the creator of the technology or a third party. While at first this may seem like no problem, after a while you may collect more smart home control apps than you can keep track of. The best Smart Home Hubs offer a centralized, organized way to control all of your smart home devices from one control center or app. We have rounded up some of the best smart home hubs and similar products that are sure to provide your smart home appliances the proper unification needed. There are a few different alternatives here. You can go with a full fledged smart home device that has all of the connections necessary, or depending on your needs you can go with a smart home speaker w/ voice control. These two different options offer different levels of functionality. There are a few things you need to take into consideration. Not every smart home device uses the same frequency. For example, some devices like the LIFX a19 connect via WIFI while other devices like the Phillips Hue Light Bulb connect through a ZigBee gateway. You want to make sure your smart home device has connections for the various connections you may have. We recommend you make a list of your smart home devices and the manner in which they connect. When you review smart home devices makes sure you compare against the list to see if the smart home hub can connect to your smart home devices. Consider your device’s ecosystem. Sometimes a smart home hub may not be the best solution, and you may be served better using a smart speaker like Alexa, Google Home, or Cortana. ​The Samsung Smart Things Hub is a smart home device designed to connect with most smart home devices. ​To connect your Samsung Smart Things device to your home you must first connect it to your internet router with an Ethernet cord. Once you connect your router through an Ethernet cord you can use setup your smart home devices through the Samsung SmartThings App available on iOS and Android platforms. ​The Samsung Smart Things Hub can be controlled through the Samsung SmartThings App. This app provides a simple interface to connect your smart home devices, and control them by clicking on fields related to the smart home device. The Dashboard is used to view the smart home monitor. You can see the status of your system, and even arm or disarm the system. The My Home section contains a list of rooms with a list of connected smart home devices, and installed apps from the marketplace. 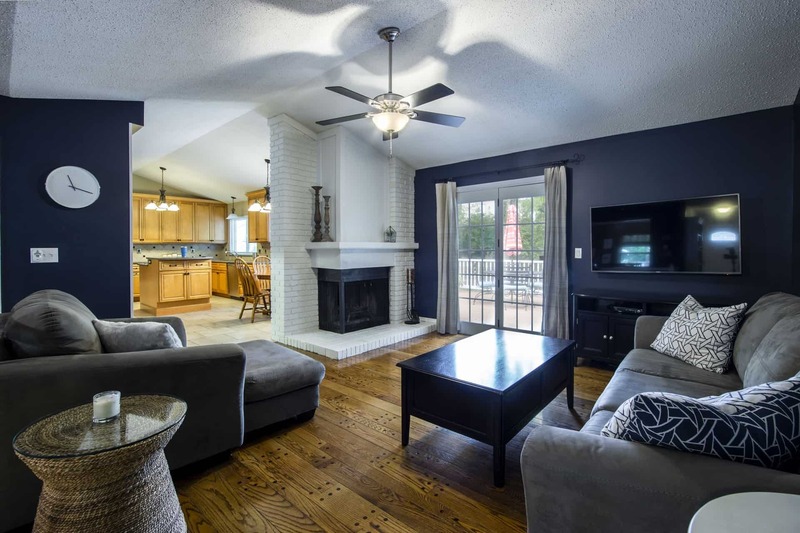 Devices are separated by what room they are in, and offer basic functionality like turning the devices on or off. You can also read specific information from devices, like the temperature from a connected smart thermostat. The Routines navigation selection allows you to set up routines to automate your smart home devices. To interact with the routines, you simply press the routine and it will execute. You can have routines such as “Good Night” which you could set up to turn off your lights and lock a door. Most sequences of smart home device actions can be operated in this section. The Notifications tab is how the SmartThings App communicates with you and updates you on whether or not certain actions or routines are completed. For example, if you execute a routine the notification panel will update you through each step of what devices are being accessed and turned on or off. The Marketplace is where the user can purchase devices or, oddly enough, set up devices to connect to their Samsung Smart Things Hub. We think the marketplace is a somewhat confusing concept. Usually marketplaces are associated with purchasing items, not activating devices. Overall, while the user interface for the SmartThings device is simple, though it will take some use to understand how to properly set up routines. ​The Samsung Smart Things Hub works wonderfully when it comes to connecting to different devices. 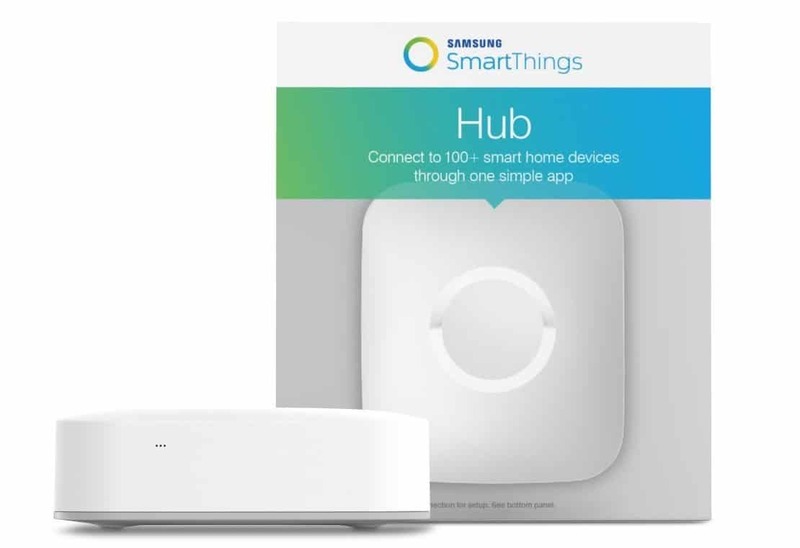 ​The Samsung Smart Things Hub is one of the only smart home hub products on the market that offer this large of an array of connection standards. ​What is notable about the specs of the Samsung Smart Things Hub is its ability to run on battery power. This is very useful if there is a storm or some incident that knocks out power from your home. In cases of emergency situations without power, this device will still be able to interact with other smart home devices if they are also battery powered. The Samsung Smart Hub is available at the Smart Things shop. While it is a low price point for smart hub devices, there are a number of free solutions available depending on your connection needs. ​We think the sheer number of connection that the Samsung Smart Hub offers puts it above its competition. Two of the only drawbacks that we see with this product is the need to connect it directly to your router, and the learning curve of the Smart Things App. ​The Wink Hub 2 is a sleek all white smart home hub. 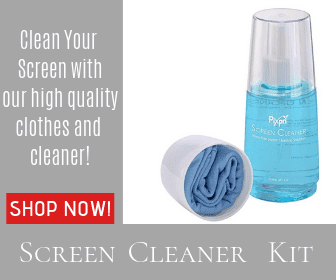 It promotes easy installation of smart home devices, and has a suite of smart home devices that it can connect to. ​Setting up the Wink Hub 2 is pretty easy. You can connect to your router with an Ethernet cord. Or you can use the Wink Hub 2’s Wi-Fi connectivity to connect to your Wi-Fi router. The Wink Hub 2 comes with a very simple instruction manual that will walk you through how to get the device setup and connected. Included is a link to download the Wink Hub 2 companion app, where you will be controlling the smart home hub device. Hub 2 definitely excels when it comes to its companion apps user interface. ​Each of these sections will correspond to different smart devices that you can easily setup using the Wink companion app. Included in the navigation pane are extra settings for shortcuts, activities, and robots. Of particular note here is the robots section which allows you to set up automated tasks for the Wink Hub 2 to conduct. having to use the app. ​The simple user interface and large number of connective devices makes the Wink Hub 2 an excellent choice for a smart home hub. Integration with Alexa and Google home also makes this product excellent for use as a smart home hub. ​The Google Home Hub is an excellent smart device hub solution if you want to connect to Wi-Fi enabled smart home devices and control them with voice control. able to access your Wi-Fi connected smart home devices. 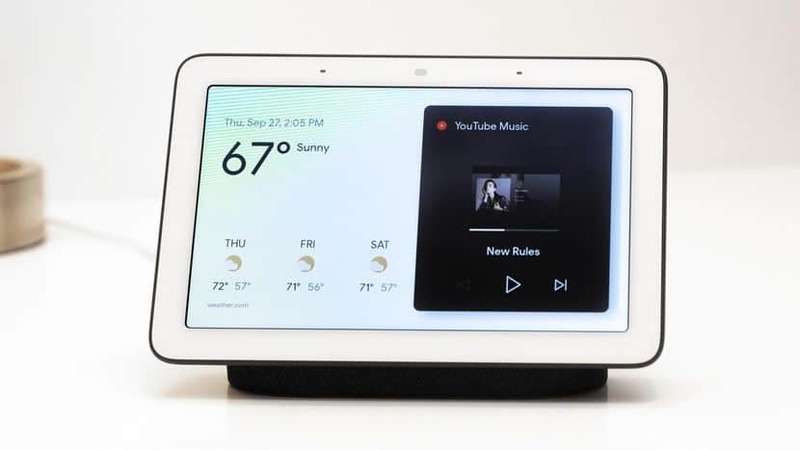 ​The Google Home Hub offers a very sleek user interface with the Google Home companion app. This app adheres to Google’s Material Design standards and is created to be as user friendly as possible. Google Home makes it very easy to integrate with your Wi-Fi enabled smart devices by having a dedicated section on the apps main page for “Home Control”. Home Control allows you to connect Wi-Fi connected smart devices to control using your Google Home Device. Once you set up your smart-devices with Google Home, you can turn the devices on or off by simply asking Google Home to turn the device on or off. This hands free approach to controlling the home is very simple once you set it up. ​Google home supports over 1,000 various Wi-Fi connected smart home devices. 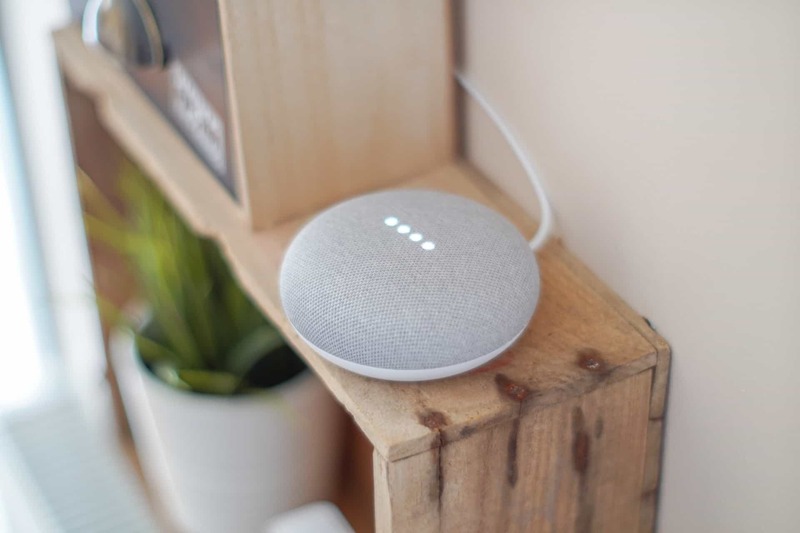 However, when it comes to connecting to ZigBee, or other connectivity standards the Google Home fall short. We recommend this device if your smart devices communicate via Wi-Fi. information on how to set up routines for your smart home devices using Google Tom’s Guide has an excellent tutorial on setting up Google Home Routines. The benefit to using routines with Google Home is that you can voice activate the routines. For example, you could set up a “Good Night” routine where when you say Good Night to Google Home it can simultaneously lock your smart doors and dim your smart lights. ​We think the Google Home is an excellent smart home hub device with a wealth of features. Being able to control your smart home devices via voice command can make the entire process less clunky. The speakers on the Google Home are also pretty decent allowing you to stream music to wherever your Google Home is located. The wealth of features the Google Home provides and its simplicity makes it an easy recommendation. Using smart home hubs can be an easy way to organize and automate all of your smart home devices. 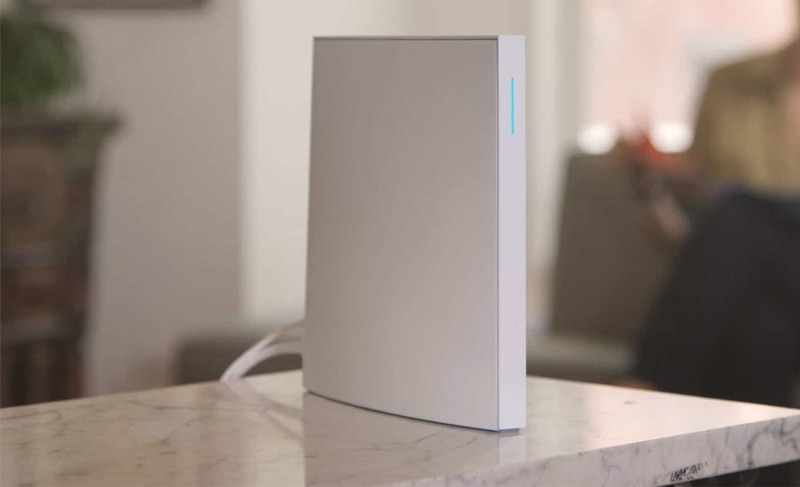 Some smart homes hubs only offer connections to smart home devices that can be connected through Wi-Fi, while other smart home hubs work with over 200 different communication standards. We’ve provided you with 4 different smart home hubs that perform exceptionally well. Hopefully one of these devices makes it into your smart home system.